When the geologist Peter Wampler first went to Haiti, in 2007, he didn’t expect to see many trees. He had heard that the country had as little as 2 percent tree cover, a problem that exacerbated drought, flooding and erosion. As a specialist in groundwater issues, Wampler knew that deforestation also contributed to poor water quality; trees help to lock in rich topsoil and act as a purifying filter, especially important in a country where about half of rural people do not have access to clean drinking water. Haiti is frequently cited by the media, foreign governments and NGOs as one of the worst cases of deforestation in the world. Journalists describe the Caribbean nation’s landscape as “a moonscape,” “ravaged,” “naked,” “stripped” and “a man-made ecological disaster.” Deforestation has been relentlessly linked to Haiti’s entrenched poverty and political instability. David Brooks, the conservative New York Times columnist, once cited Haiti’s lack of trees as proof of a “complex web of progress-resistant cultural influences.” More recently, a Weather Channel meteorologist reporting on the advance of Hurricane Matthew made the absurd claim that Haiti’s deforestation was partly due to children eating the trees. Few places in the world have as dismal a reputation. And as the recent destruction wrought by Hurricane Matthew shows, Haiti is tragically vulnerable to natural disasters. But as Wampler would discover, Haiti’s reputation as a deforested wasteland is based on myth more than fact — an example of how conservation and environmental agendas, often assumed to be rooted in science, can become entangled with narratives about race and culture that the powerful tell about the third world. How Fast Can Evolution Go? I recently returned from a reporting trip to the banks of this tiny creek on a U.S. Air Force base in White Sands, New Mexico. Called the Lost River and at times no more than a foot wide, the slow-moving water creeps for about a mile until it disappears into the gypsum dunes of the White Sands National Monument. I went to see Cyprinodon tularosa, a desert fish that has survived in the Tularosa basin since the Pleistocene era, when the basin floor was covered by a body of salt water called Lake Otero. As the climate warmed, the lake dried up and the pupfish were isolated to a handful of remaining springs and drainages. In modern times, these habitats shrank to just two: Malpais Spring and Salt Creek, and the fish were listed as threatened by the state of New Mexico. The geologist C.L. Herrick, who went to New Mexico in 1898 to try and cure his tuberculosis, was the first person to take note of the silver fish, no more than two inches long, flitting in the waters of Malpais Spring. A few years later, another geologists noted the same fish in Salt Creek. Later genetic testing shoed that a volcanic lava flow separated these two populations from each other at least 5,000 years ago. In 1859, Charles Darwin wrote that "We see nothing in these slow changes in progress, until the hand of time has marked the long lapse of ages." 150 years later, Darwin's belief that natural selection and evolution are slow processes that take place over eons, has been upturned by the White Sands pupfish. Biologists now believe that the fish have one of the fastest rates of evolution for a known vertebrate. This phenomenon, called “rapid” or “contemporary” evolution, has significant implications for how we think about and mitigate extinction crises. Anthropogenic disruptions like climate change don’t just reduce biodiversity and abundance, they alter the evolution of organisms and can do so over mere decades. This also means that conservation efforts themselves—moving populations of animals, captive breeding, and assisted reproduction—is not really preserving animals at all. It’s actually setting them on new evolutionary trajectories that are not “wild” in the way we typically understand that word to mean free of human interference. This is evolution directed by us. Biologists might never have discovered this remarkable trait of the obscure pupfish if not for a retired engineer by the name of Ralph Charles. 40 years ago, Charles' fascination with pupfish led him to do something bizarre: he stole 30 of them from Salt Creek and brought them to Lost River, where he released them into the tail end of the creek as it meets the white gypsum sand dunes. Charles was a former employee of the Bureau of Reclamation, a water management agency under the U.S. Department of Interior. For years he had requested to visit the native populations of pupfish at Salt Creek and Malpais Spring. Unfortunately for him, the fish had been under the protection of the U.S. Department of Defense since around 1945. That was when the military created a missile range and weapons testing ground on 3,200 square miles in the Tularosa Basin (still operative today) that enveloped both native pupfish habitats. Charles finally appealed to a U.S. Senator, who granted him a one day security clearance to get onto the missile range. In the late 1990s, when ecologist John Pittenger was trying to understand how exactly pupfish got to Lost River, he came across the papers of William Jacob Koster, one of the first ichthyologists to focus on New Mexico’s fish, at the Museum of Southwestern Biology in Albuquerque. Among the papers was a letter from Charles inquiring as to how the pupfish he had brought from Salt Creek to Lost River were faring. Until Pittenger found this note, no one knew whether the Lost River population had always been there or was introduced. 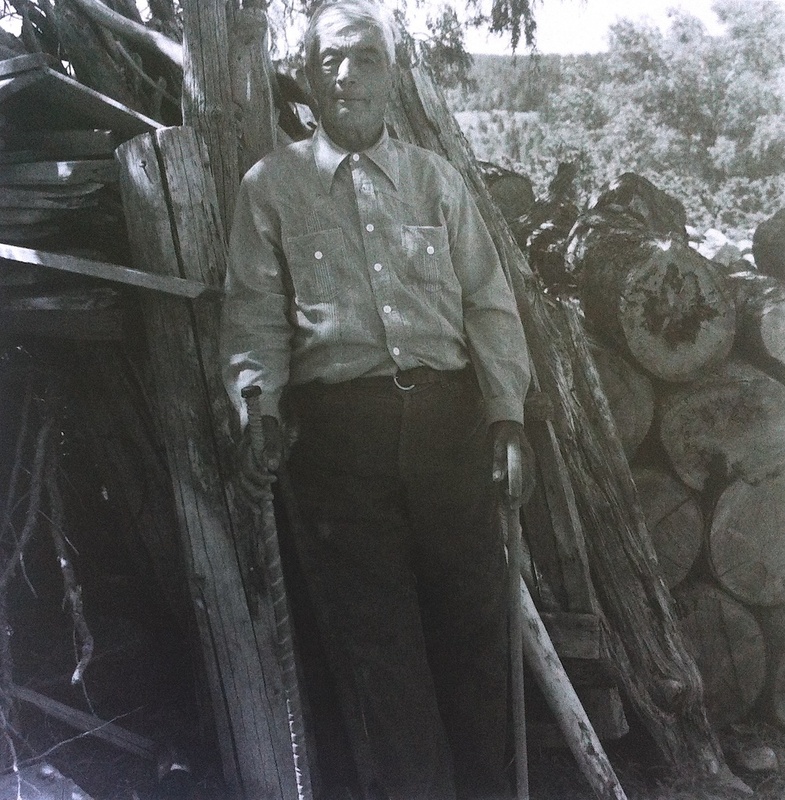 Charles' motives for taking the fish have been lost to time, but translocating fish around the springs and drainages of southern New Mexico was not necessarily unheard of. An anonymous rancher had done the same thing in the 1960s, bringing pupfish from Salt Creek TK to a freshwater environment called Mound Spring further north in the basin, probably as a form of mosquito control. Both of these translocated fish survived. Pupfish, in fact, appear to be an extraordinarily adaptive species, capable of reproducing in waters that range from brackish to highly saline. At Lost River, for instance, the water can vary from 25 to 80 percent salt concentration. At the high end of this spectrum, the salt content of Lost River is double that of the Dead Sea. “I like to say they are evolutionarily labile,” said Michael Collyer. “They are capable of evolving in multiple directions. They can be saline fish, freshwater fish. These changes would normally cause extinctions in most fishes but they tend to persevere.” Fresh and salt water, however, have different densities that result in different kinds of fish. Saline habitats produce fish with more slender bodies and hence less drag, whereas freshwater fish have a deep-bodied shape. By the time Collyer, a graduate student at the North Dakota State University began studying the species in the late 1990s, he began to notice something strange about the two introduced populations of fish at Lost River and Mound Spring. "You spend enough time looking at the fish and start thinking, you know, they look different to me," he told me. "It's a lot like parents of twins, they see differences in their kids other people can't see." This single observation became the main thrust of Collyer's research. He developed a methodology for establishing morphological differences between the populations and what he found was that the Mound Spring population had evolved a deep body shape since their relocation, while the Lost River population maintained their streamlined morphology. This was not just the result of what biologists call phenotypic plasticity, the ability of an organism to change its appearance and physiology in response to changes in the environment. The differences in the Mound Spring population were genetically based. "This was contemporary evolution," said Collyer. "This population of fish was now different from its source. That was fascinating. We're talking about a couple of decades, when we're used to to seeing changes over thousands of generations."